There’s one piece of Japanese culture that is causing a huge stir in Europe right now. Can you guess what it is? 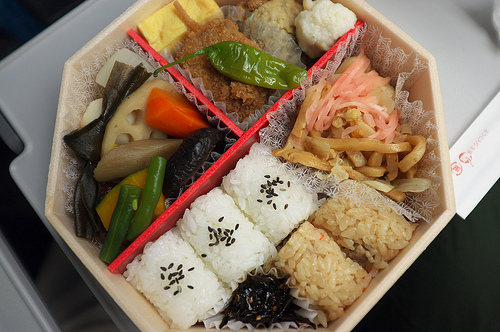 The Bento is a boxed meal that contains rice and other bite-sized dishes. Its portability resembles a lunch box, but with fully-prepared meals rather than a sandwich. “Bento” is now a recognized word all around the world. The best part about the bento is that you can take your favorite dishes with you! People can pack bentos full of favorite meals, healthy foods, or leftover from last night’s dinner. You can carry the bento box to various places such as the school and the office. Don’t forget to carry a lunchbox when picnicking and traveling. Even when stepping out for a short walk some people take a rice ball bento with them. A big bento spread plays an important role in cherry-blossom viewing or athletic festivals catering to large groups. There is a variety of preprepared frozen items sold in supermarkets that are helpful in preparing a boxed bento early in the morning. You can also buy different types of ready-made bento at supermarkets and convenience stores as well as bento specialty stores. 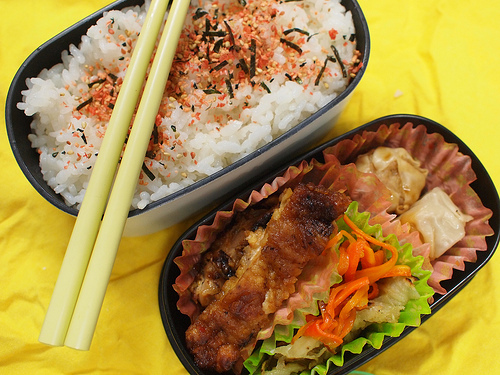 Among a wide variety of bento, we recommend you to eat “ekiben” which is now very popular in Japan. 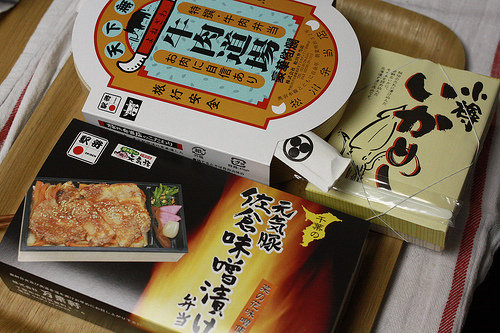 “Ekiben” is a shortened form of eki(station) bento. Ekiben is a boxed lunch we can buy at a railway station of bullet train, long-distance train and so on. Each station has one that packs local dishes and specialty food. Having ekiben in the view on a train is a wonderful experience. However, to get the ekiben you particularly want to eat, you have to go to the station. If you want to try several types of ekiben at once, you’d better go to “ekiben festival” held few times a year at a downtown department store and others where local boxed lunches get together. Recently a series of photos taken of Kyaraben (character bento) has gone viral on the Internet. This is a cute but elaborated bento decorated to make characters from comic books and animation by using colored rice, cut laver and vegetables. Kyaraben became popular in the past few years especially among mothers who have small children going to preschool. 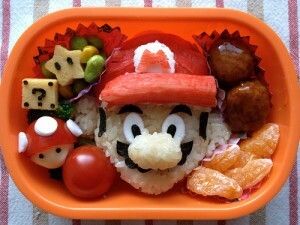 They create decorated bento with a character their sons’ or daughters’ favorite on an almost daily basis or when school events. Many stores now have a wide variety of tools including cute-shaped cutters and colored powder to help making Kyaraben. Tama Zoological Park | Home to lots of cute animals! ”Aizome” has splendid beautiful color and design! It’s Japanese traditional dyeing.